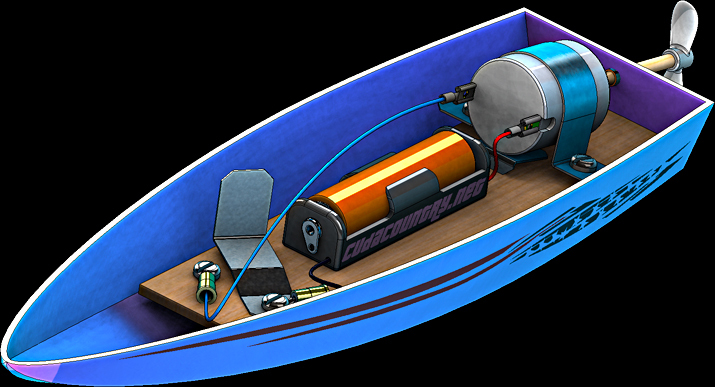 Welcome to cudacountry SOLIDWORKS 2012 and Mastercam X6 Model Boat Tutorials. 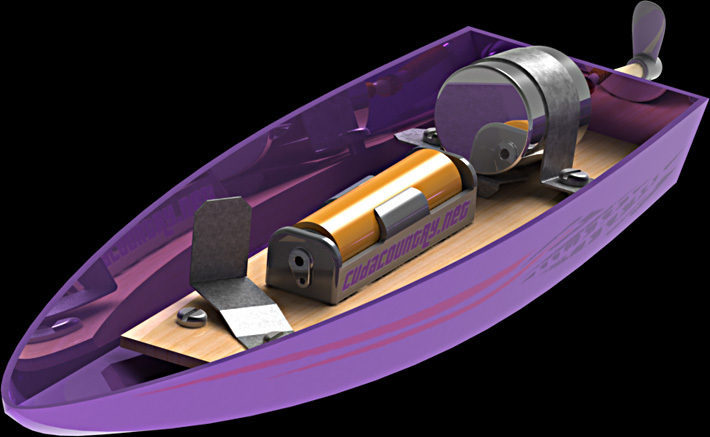 We use SOLIDWORKS 2012 to design our boats and Mastercam X6 to create CNC toolpaths to cut the hull. The following tutorials with the PDF icon are available for viewing. Download the free reader from Adobe. Part 1. Hull. Create plane, two sketches and loft. 2. Hull with Midplane. This tutorial uses hull from Chapter 1 and adds a mid plane. Then, add section to loft and scale down sketch in rear of hull. Part 4. Motor. Same motor used in all our projects. Part 6. Switch. Now, with cool jog. Part 9. Battery Holder AA. New Battery Holder featuring: cool cuts, sweep helix for spring, tangent lines, power trim and Shift clicking to select Features for Fillets! Assembly 10. Power Train Sub-Assembly. The Sub-Assembly can be thrown into any hull design. Toolbox 11. Screws from Toolbox. Drawing 13. Drawing. 11” by 17” paper. Part 14. Coupling. 1/8 Rubber tube. Connects the motor shaft to the propeller shaft. Part 15. Propeller Shaft. 1/8 dowel rod sharpened in pencil sharper to point. Part 17. Bushing. 1/4 copper tubing that fits in hole in hull and guides the propeller shaft. Sim 19. Analyze Hull in flow tank! Analyze design using Flow Simulation and create animation of flow trajectories. Part 20. Cat Hull. First, complete Chapters 1 and 2 to set up planes and sketches. Use Chapters 22 and 24 for toolpaths, Rough Pocket and Finish Blend. Part 21. Hydro Hull. First, complete Chapters 1 and 2 to set up planes and sketch. Use Chapters 22 and 24 for toolpaths, Rough Pocket and Finish Blend. X6 22. SW to MCX6. Move hull file from SOLIDWORKS 2012 to Mastercam X6. This tutorial rotates solid into the correct Mastercam XY planes and creates a wireframe centered around the solid. X6 23. Toolpaths for Mid Plane hull. Toolpaths to cut hull from 2 by 4 block of wood. Use as mold in vacuum forming machine to make plastic boat. The wood 2 by 4 stock is cut to 1.5 by 3.2 by 9.3. Create a HST Rough OptiCore and Finish Waterline toolpaths. X6 24. Toolpaths for Cat and Hydro hulls. Create a Rough OptiCore and Finish Blend toolpaths. Blend is great toolpath! SW 25. Mastercam X5 for SOLIDWORKS Hull Toolpaths. Toolpaths to cut hull from 2 by 4 block of wood. Use as mold in vacuum forming machine to make plastic boat. The wood 2 by 4 stock is cut to 1.5 by 3.125 by 9.3. Create a Rough Area Clearance and Finish Waterline toolpaths. Here are 2016 and 2010 tutorials with video.